The Most Complete Path For Your Guitar Playing Future. Beginners, Intermediate and Advanced Players Welcome!!! 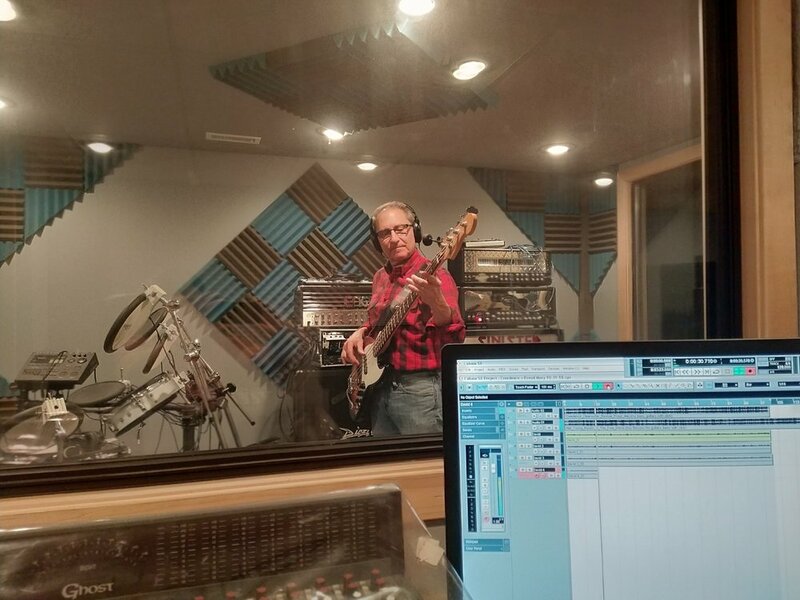 Mike's degree in music education and 23 years of teaching and training experience can help you achieve your musical goals on the guitar or bass faster (read real student testimonials as proof). 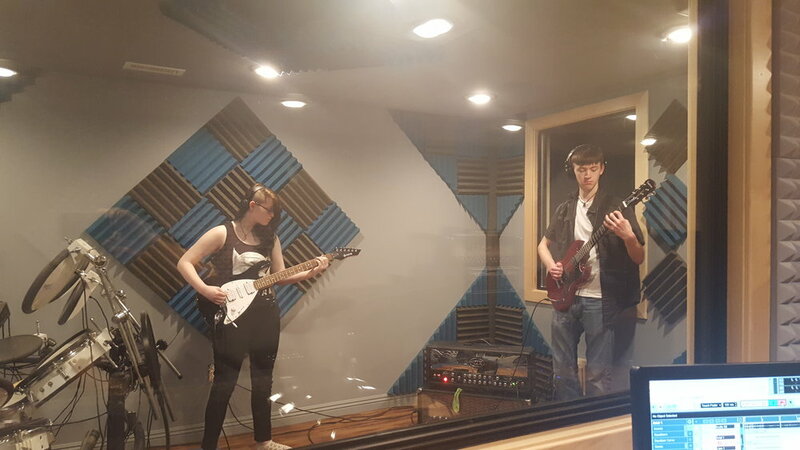 Guitar Lessons with Mike Walsh provides beginner to advanced guitar and bass lessons in a professional recording studio near Lake Cook Road and Milwaukee Ave on the Buffalo Grove, Wheeling and Deerfield border. Learn how Mike can transform you from an average Joe into an elite pro and read the testimonials from students who've been transformed! "As a teacher for more than 30 years, I recognize immediately a good teacher from a superb teacher, and Mike is, without a doubt, a superb music teacher." Learn Songs And Perform Them Like A Pro. Shows are played by students of all ages!!! Learn To Play 100% Of Every Song!! 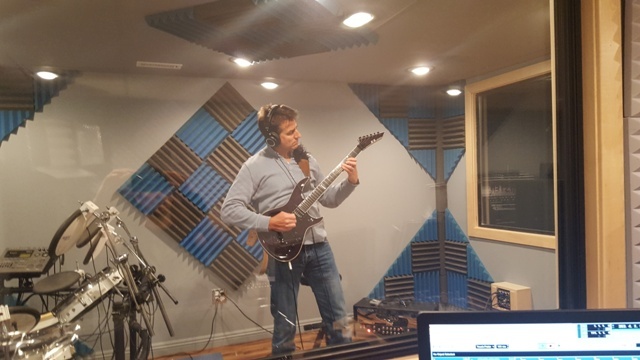 Mike is an accomplished live musician and has his degree in Music Education and over 22 years experience teaching guitar in Chicago's Northwest Suburbs. 1) I seem to know only parts of songs. 2) I Am Afraid to perform on stage because of other people watching me. My fears are holding me back but i want to do this someday. How can you help me overcome these issues and make stepping on stage a reality one day? These are the two BIGGEST problems for most students concerning the topic of playing a show. A lot of my experienced new students generally don't know how to play ANY song 100% let alone live on stage in a band setting. Secondly, even if they did know how to play a song 100% they feel insecure about doing it in front of people so they wouldn't step on stage anyways. I wanted to address these show issues and more to help students say YES to playing live, so I created a special event in my format called "Student Performance Night." 1) = Learn 100% of every song!!! 2) = Build your confidence to play live!!! Everyone wishes or wants to get good enough to play songs live but either don’t feel they’re good enough or that it’s not a priority. But common, if you swapped places with your favorite player I bet you’d change your mind here so…. You will build this confidence by slowly by implementing lesson handouts and questionnaires I create to guide you as a performer so you will look and feel like the stage performer you always wanted to be. Over time, after implementing the show/performance articles and handouts I created you will feel ready to step on stage and not be as fearful or anxious because of this specific training (other secret steps I leave out on purpose). 2a) = Step on stage and play 100% of these songs live!!! When it's time for you to step on the big stage in the future you'll have done and simulated this process many times, trained on how to learn the songs efficiently and THEN can feel confident in how you look performing/playing to an audience and will say YES to playing live. There are other details I must leave out but there are plenty as aspects we'll touch on to help you step on stage and perform like never before and feel confident in yourself and accomplishments. My specific live show training processes will identify the areas you need to work on and give you the time to make all the needed corrections far in advance of any real live event you'd play in the future. This will allow you to evolve as a player and performer which is same process all the pros do so they look like pro's and not average joe's on stage. After months of doing this process you're ready for my big show night, "Student Performance Night". Start your process of becoming a confident stage performer with a free consultation. I've helped solve these crippling problems for students because it frustrated me to see them not prepared for school talent shows, their band's live performances or opening the door for those who thought they couldn't ever do this but wanted to step on stage someday. When you train with me these problems get addressed and fade away as a part of my lessons. No longer will students be massively afraid of the stage after just 6 months in my format. But you're not going to experience this aspect in 99% of music stores lesson offerings. 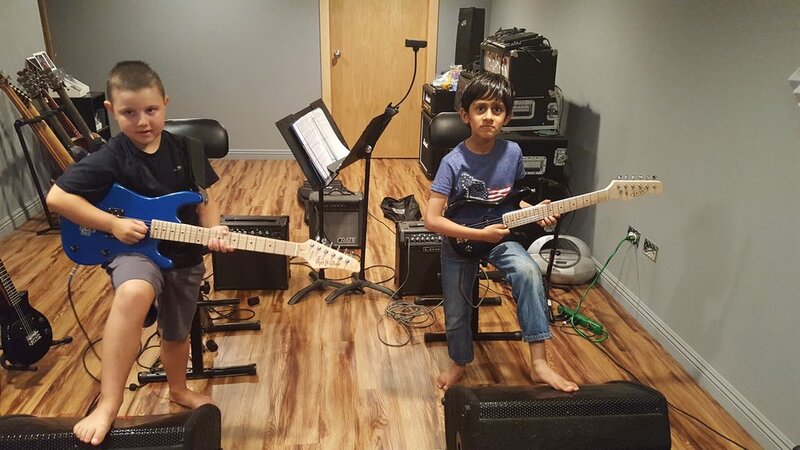 If you don't believe me now that you've found me by searching for guitar lessons near me, then look up guitar lessons in Buffalo Grove, guitar lessons in Wheeling, guitar lessons in Deerfield, guitar lessons in Vernon Hills, guitar lessons in Northbrook, guitar lessons in Lincolnshire, guitar lessons in Palatine, guitar lessons in Mundelein, guitar lessons in Long Grove, guitar lessons in Arlington Hts and see which stores or teachers are doing this. Or simply book your free consultation today and step on stage fear-free with my training. Create New Memories You'll Remember FOREVER!! Why Should Beginners Take Lessons From An Experienced Guitar Teacher Like Mike Walsh? 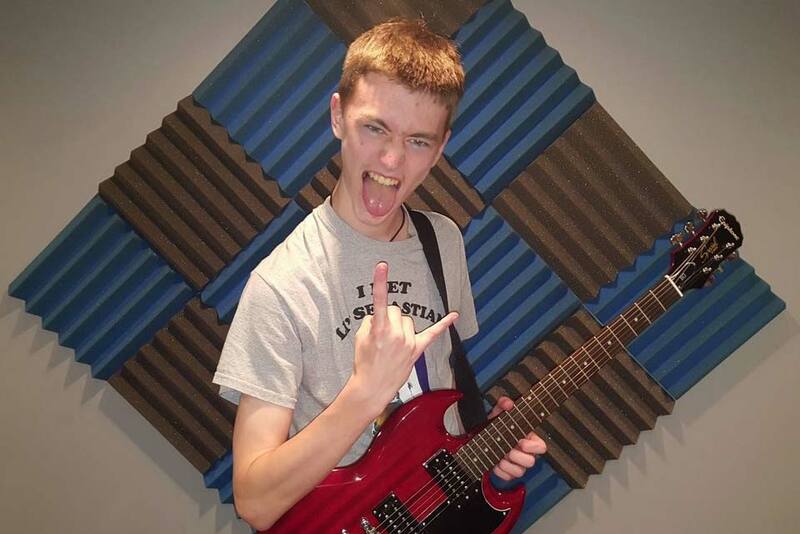 *You'll Have Fun And Look Forwards To Playing Guitar For The Rest Of Your Life! 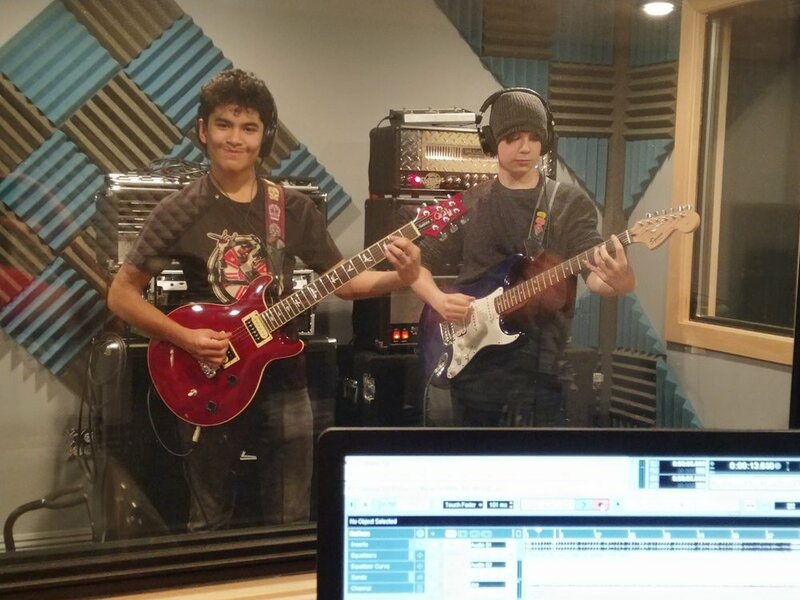 I've spent decades refining how students get results on guitar and then mix in a ton of fun with a positive attitude to help you enjoy the guitar like I do. 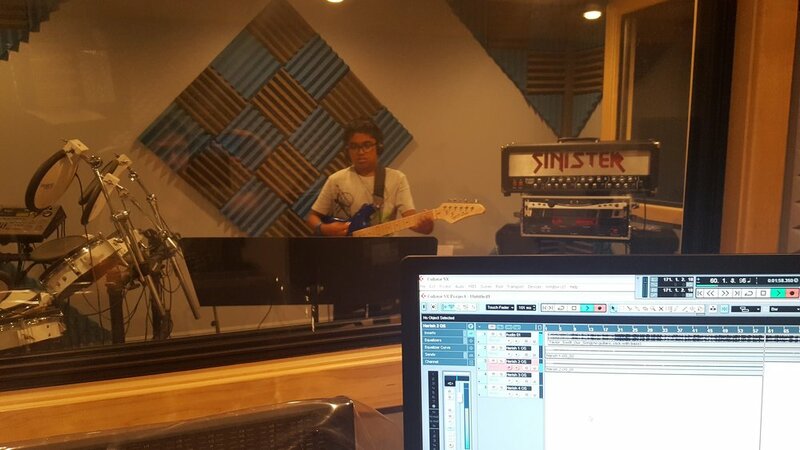 *Learn In My unique, professional music environment vs a closet sized room. 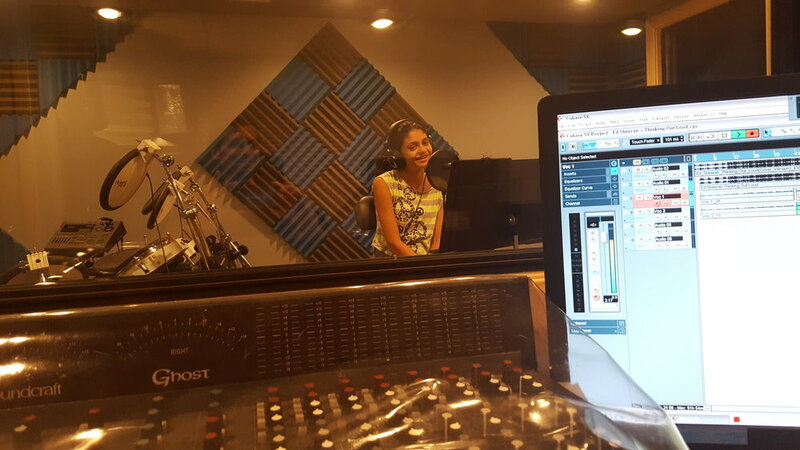 You're going to like coming to lessons and being in a recording studio vs a closet or your bedroom week after week. What real world music experiences do you get by being in a closet or your bedroom? 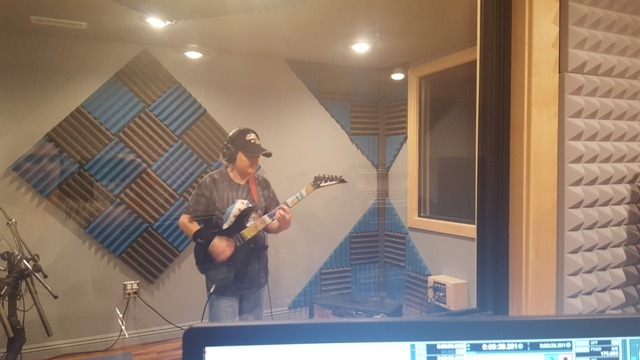 Very few and how fun does a closet sized room sound vs a recording studio? STUDIO WINS EVERY TIME! *Increased passion for music And Life! Simply put, you will have fun and learn a hobby you will be good at FOREVER!!! You will like coming to lessons each week and enjoy life more with your new found skill set. One lesson aspect that increases your passion for music is training in all the different and interesting musical categories I teach you as a part of my unique system. 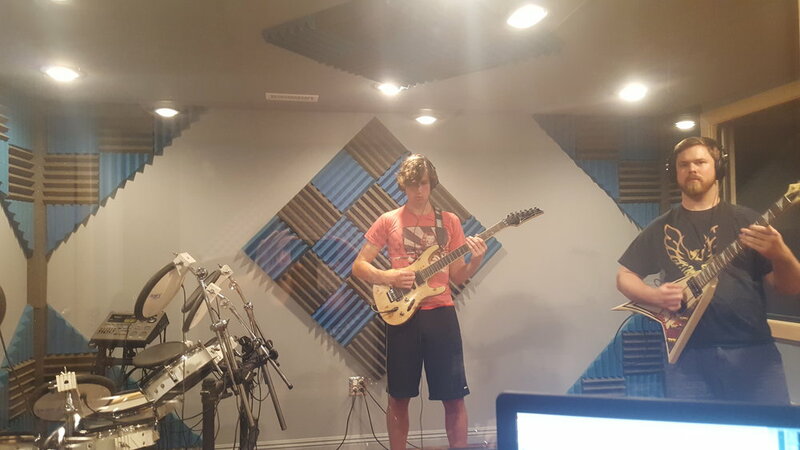 You will experience more real music aspects here, vs traditional music stores, that will make you better in many musical areas and develop your skills to take on whatever music you love to play most. You're going to enjoy practicing more than ever before because you're going to become a better all around musician by training in all these musical categories. Your musical pie chart is going to get filled in and I have proof to show you we'll learn and train in a ton of musical categories week after week to make it happen for you. *No Progress Limiting Guitar Books That Will Hold You Back! Want to get off the ground running or get out of your rut? Well then don't go buying Brand X Guitar Book 1 and expect fast results!!! Using the same old guitar books written in the 70's by mediocre teachers and players isn't going to offer you faster progress. I have a custom made database that will instantly supercharge your results!! I also have classes that train in specific categories you will like and need help in to advance even more on guitar. 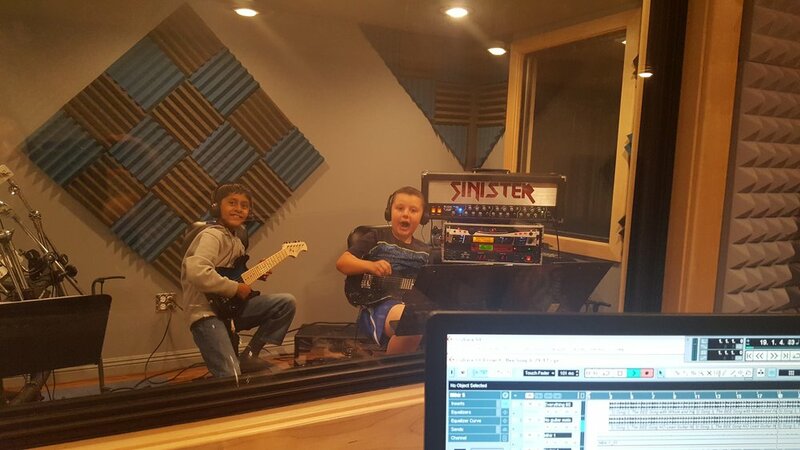 I taught guitar and bass lessons in music stores across IL for 20 years; I know all of the pitfalls students face in this traditional format and closet-sized room environment. I spent a lot of time thinking about all of the areas students were not getting addressed in the traditional format and I created my own custom learning format to address each issue. 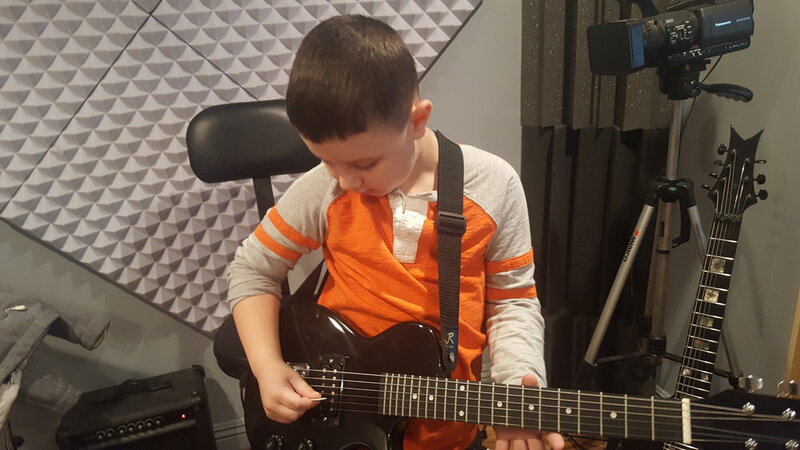 My lessons literally check off as many learning and training boxes as possible that you won’t get with traditional lessons or the sad guitar books. I offer all this EXTRA VALUE while keeping the price of the lessons THE SAME or CHEAPER (different lesson packages available) than music stores/teachers!!! * Stop The YouTube Madness (Watching vs Training)!! Think about this, how much time do you spend watching guitar lessons on YouTube vs you actually playing the lessons from YouTube??? This is a results killer, I estimated from asking new students this question that they waste about 75% of all their lesson time watching the video vs playing the actual lesson taught!!!! This is a HUGE loss in potential guitar abilities. Spend more time learning and training and less time watching by taking real guitar lessons from a PRO!!! Oh ya, and when you have a question or a technique that's in need of tweaking how's that YouTube video going to stop that bad habit?? = IT WON'T, no one's there on YouTube to train you in real time!!! *Faster Improvement with the most efficient playing techniques. I’ve spent decades refining the art of playing efficiency using sports science and applying hundreds of years of traditional string techniques, which translates to = You Getting Better MUCH FASTER!! Most guitar/bass players are self-taught and don’t give much thought to how they do any physical movements on the guitar/bass. Well not me, I’ve thought all of this through unlike most guitar teachers, who are self-taught and don’t even play efficiently themselves, so how are they going to teach picking and fretting efficiency to you and make playing easier, more consistent and accurate? They don’t and can't = FACT. Don't believe me, just look at how 99% of them play sitting down. If you're not sure what I'm getting at, then I can easily teach you in 5 minutes how they're all 100% playing with improper muscle memory and playing posture while harming their and your progress. *22 years experience teaching guitar FULL TIME with a Music Education degree. In this industry, the combo above is really rare to find. 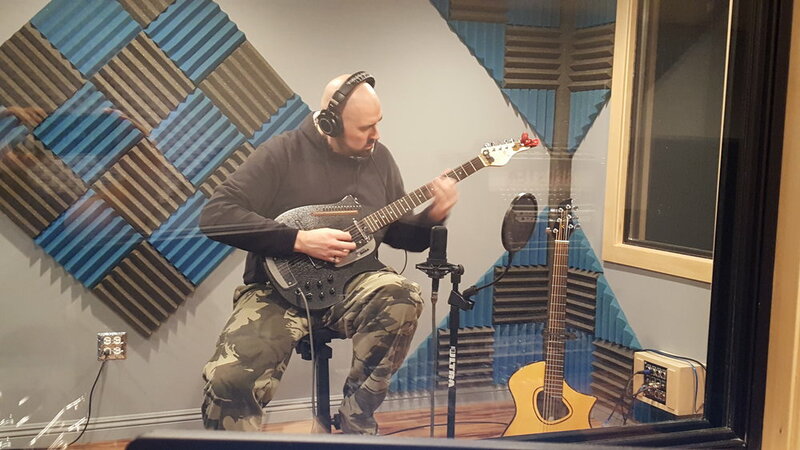 I developed an enormous and ever-growing database of guitar lessons and songs for you to learn and train with that are proven to help students progress really fast. I have systems and formats that systematically train you step by step to help you make the most progress possible in the correct order. I don’t just wing the lessons and randomly come up with what to do next like most guitar teachers, let alone the inexperienced ones. This means that you’ll get the maximum value and learn in the correct stages, like a school would, via grade levels and subject evolution to get results fast. How's that basic guitar book looking now, that's written by some random teacher who plays with improper technique shown on the 1st page of the book? Then, I made the price of the lessons THE SAME and/or CHEAPER (different lesson packages available) as beginning teachers, so that you can get maximum value out of my 22 years of teaching. Learn from an experienced teacher who knows what they're doing or would you rather take from someone who's been teaching part time for 4 years and/or teachers who are looking to quit soon and find a different job? This is my ONLY job and I'm not EVER quitting!! *No Wasted Lesson time or Money! 99% of traditional guitar teachers waste lesson time and money due to having to write new lessons in your blank music book each week. This translates to around 20% of every traditional lesson being spent with you doing nothing. I DON’T DO THAT. My lessons gain you back all of this lost and valuable lesson time/money by using my enormous database of lessons in which I created ahead of your lesson time. I simply hit "print" and out comes your lesson. Wouldn’t you rather spend 20% more time training and learning during each lesson vs. watching the teacher write in your book and wasting all of that time? The simple answer is YES, but you can only get that with my lessons. MATH TIME = How You're Wasting Money With Traditional Lessons That Write Out Everything. If a student takes a 1 hour lesson 52 times a year, 20% of 52 hours equals = 10.4 hours of FREE lessons!!! My lesson system vs traditional lessons = 10 1/2 free lessons a year and more lesson value for you. *Practice Perfectly at home and make More Progress Each Week. With most traditional lessons when you go home to practice, your basic music book and blank staff/tab book the teacher wasted 20% of the lesson time writing in, doesn’t play back the lesson notes and rhythms perfectly like my guitar program does. Their music book also doesn't allow you to slow down the music or loop hard music areas so you can train more effectively to get better. This means most students using the traditional music book don’t practice at home correctly and lose out on making maximum progress each week. 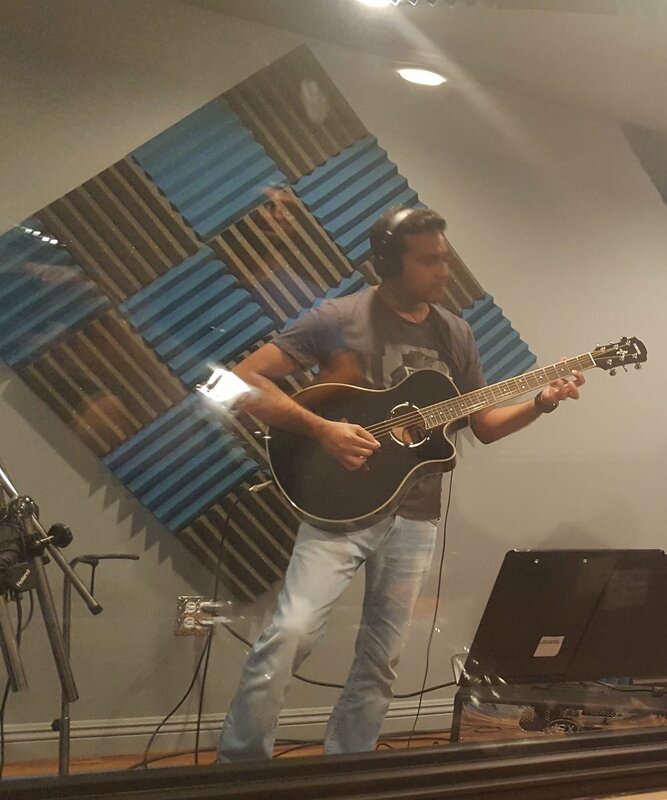 My music program will allow you to practice and train at home the EXACT way you did here with me. This means that your time away from me is like I’m there with you, because the program will play the lesson/song PERFECT every time meaning you'll practice at home perfect every time and make WAY MORE PROGRESS EACH WEEK. You can’t get that progress from traditional lessons; I know, I stopped doing that myself years ago because my new way is MUCH better for you, the student. *Keep every Guitar and Bass lesson FOREVER! I create custom lessons that are files I send you via email and I create a folder specific for you. Every lesson you'll ever take with me you'll have access to because you'll have these files on your computer. Now think about when you lose your blank lesson book, that wasted 20% of each lesson from the teacher writing in it, aren't those lessons gone forever? = YEP. But with my system, I simply just email you your Lesson Folder and in seconds EVERY lesson you ever took from me is back in your computer. Think about this value, you will have every lesson file you've learned here and can review them years and decades from now exactly the way we learned and trained on them here. Now on the joking side, this is huge for all you Jr. High through College Students who seem to always lose your books. Hahaha! Do Something Not Even 1% Of The World Will Ever Do!! Then Get Good At It And Be A .0001%!!! When you take lessons from me, the Guru of Guitar Technique, you get better at guitar right now. In just one lesson I can solve the problem you’ve been dealing with for weeks, months or years. Explode your growth by implementing my efficiency training methods to overcome the obstacles holding your performance back. 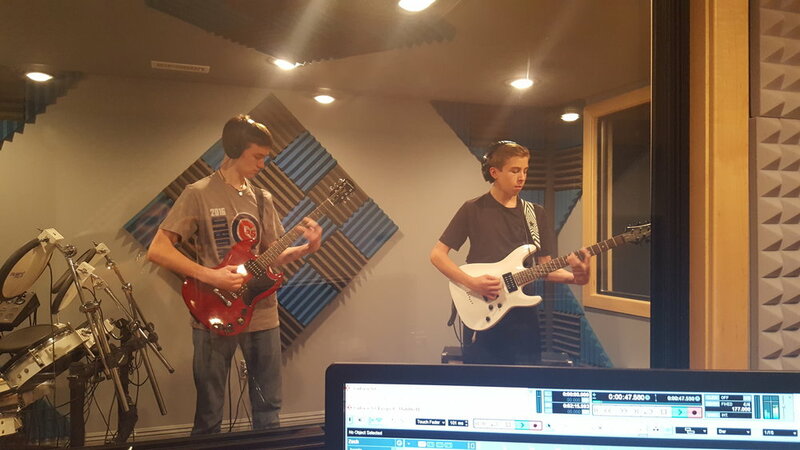 Mike's student Danny Ambrose covering Steve Vai. I'm Skeptical About Finding a Great guitar teacher vs. just "another" teacher; how are your results? I know what you mean and it's one reason why I created, and constantly evolve, my unique guitar school system. I know new and current students see I care and am constantly thinking about how to help them reach your goals faster while having fun. If you don't believe I care about you and your progress, your trust in the learning process will diminish and you will eventually quit and quitting guarantees you won’t reach any guitar goal. I work hard to gain students trust by constantly testing and creating new methods of improvement while being the best music friend you'll have. After you spend 2 months in my format, you'll see that I've thought A LOT about my students and their musical happiness and work hard to help you. The sad reality is that most guitar teachers are either learning on the job, don't put much thought into your progress path, aren't passionate about teaching or just aren’t knowledgeable enough to get their students the results they expect. Don’t worry, I have proof I can transform you like the countless others I've taught over the years! 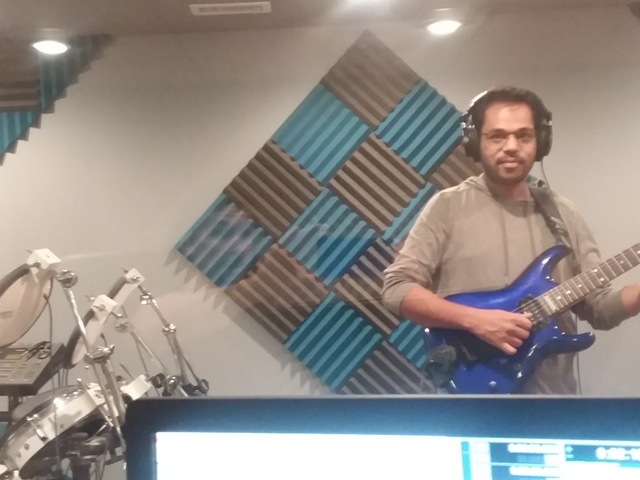 I have been teaching guitar lessons for 22 years and have a degree in Music Education from Elmhurst College. I am an elite player with countless guitar lesson systems and methods that get you results!!! 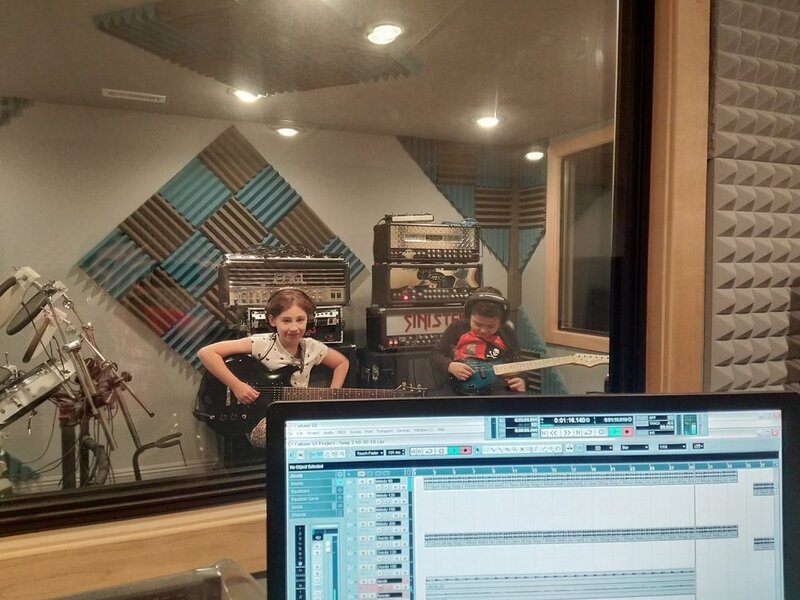 My students have gone on to have successful careers playing and teaching music with my mentoring. Would it help to mention that I’m actually a pretty fun person to be around? Hopefully, but I’m not “another” teacher in any regards and this website should add light to this answer. You will get the results you want and I’ll open up doors to places you might never have thought were possible in your playing, songwriting, recordings and show performances. Can your guitar lessons really take me, an average joe, and transform me into an elite player? YES, I transform Average Joes into Elite Pros with my Results Based System. Let me prove it to you with another video from my former student, Daniel Farnsworth. Daniel started guitar lessons with me in seventh grade, continued throughout high school and a little while at Tribecca College. Daniel wasn't born with superhero abilities (not that he told me about), he came to me like all beginners = excited, eager to learn and willing to put in the time to get good/great. The secret is in KEEPING students excited, eager to learn and wanting to put in the time to be good/great. Eventually his story read like all great players = He trusted, listened and implemented the teaching and training passed down by a great teacher to become great himself. WATCH THIS VIDEO! Daniel performed, wrote, recorded and video-edited all of this!! 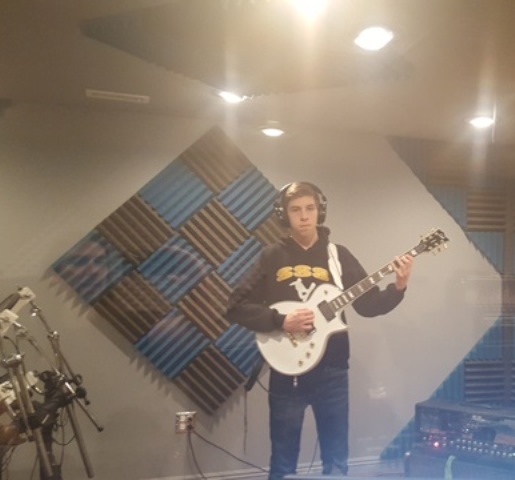 This is the solo off of the track "Heritage" by Mike's student, Daniel Farnsworth. Why am I not seeing much improvement in my playing even though I’m practicing, getting help from friends and using YouTube videos to learn from? 1) You need a true professional to teach and train you on a regular basis!! 2) High expectations, unique experiences and how to practice and perform like a professional in order to achieve huge results will cure this!! Having a professional coach to make sure you’re playing correctly, planning out your path with GOALS and fixing your playing issues is important. Also, learning musical concepts relevant to your goals is irreplaceable vs finding random guitar licks or riffs to play on the internet. Do Olympic athletes learn from friends and YouTube videos and then go on to win the gold medal? No, they get trained by the best coaches and use every day to transform into the best they can be and win. 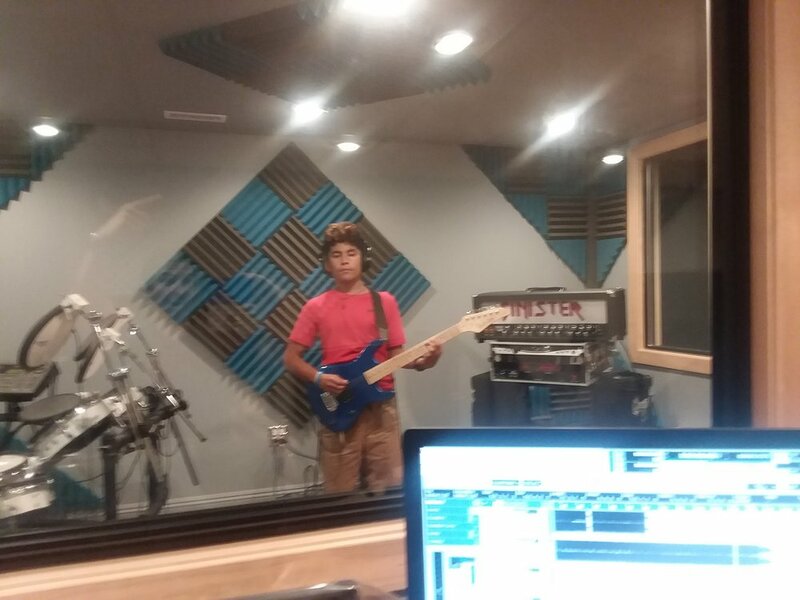 So lets win together and I’ll put you on a path to having fun while gaining impressive results on guitar or bass. Watch this inspiring success story about how a woman overcame all odds to fulfill her dream of writing and performing on her very own CD. 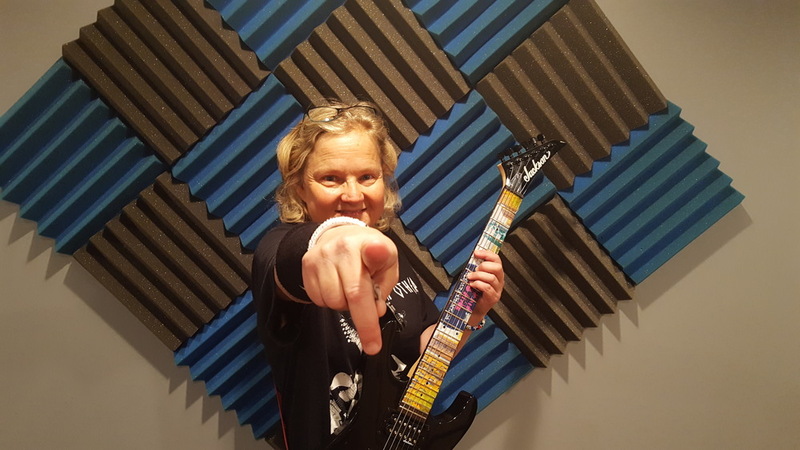 Alison Meyers sits down to talk about how sometimes guitar lessons can be more than just about the music.